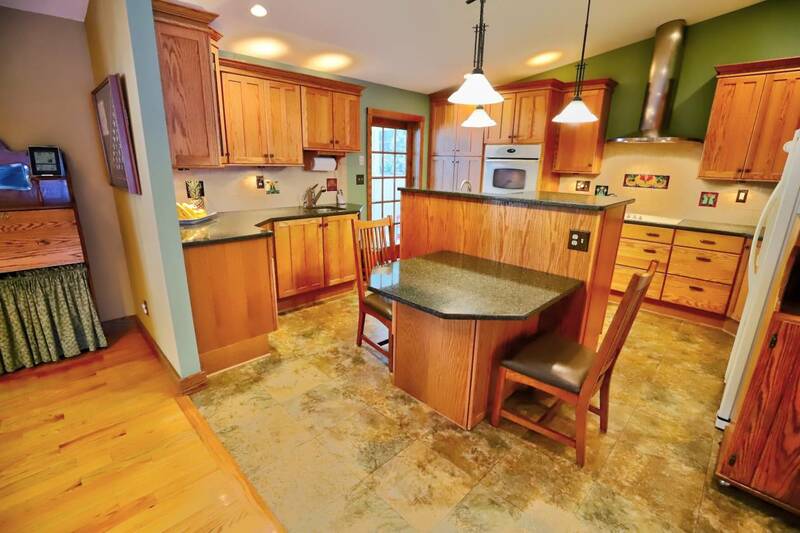 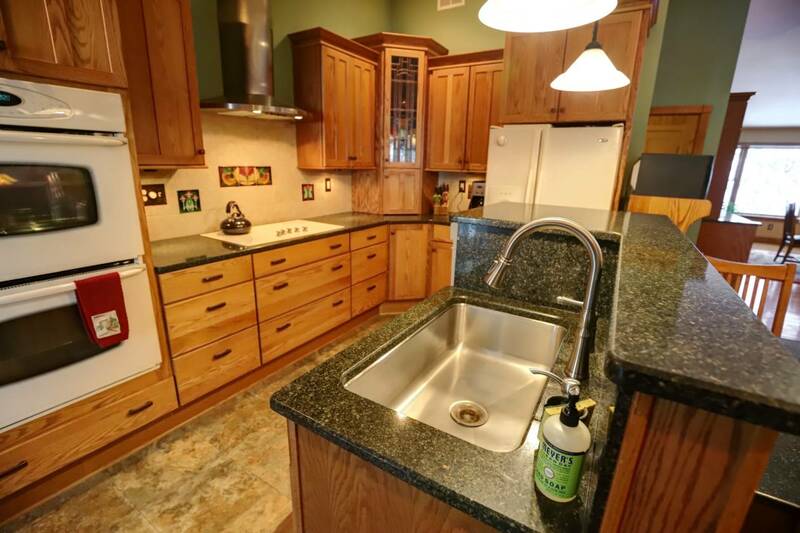 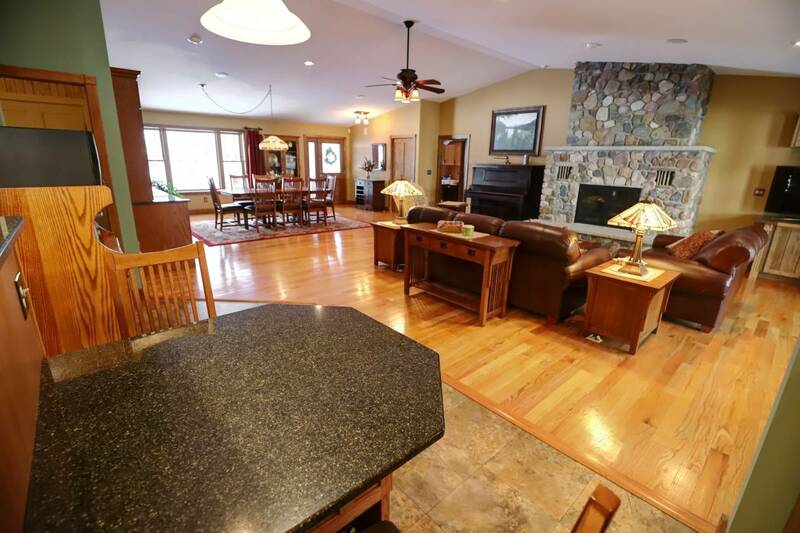 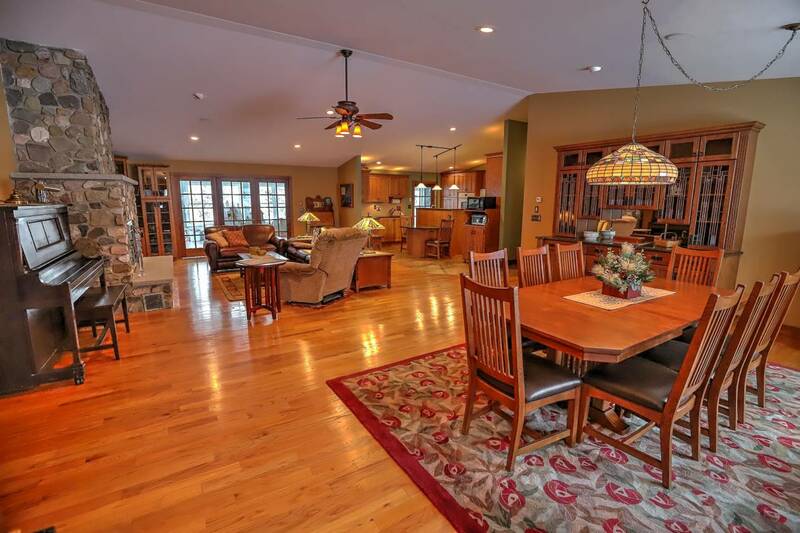 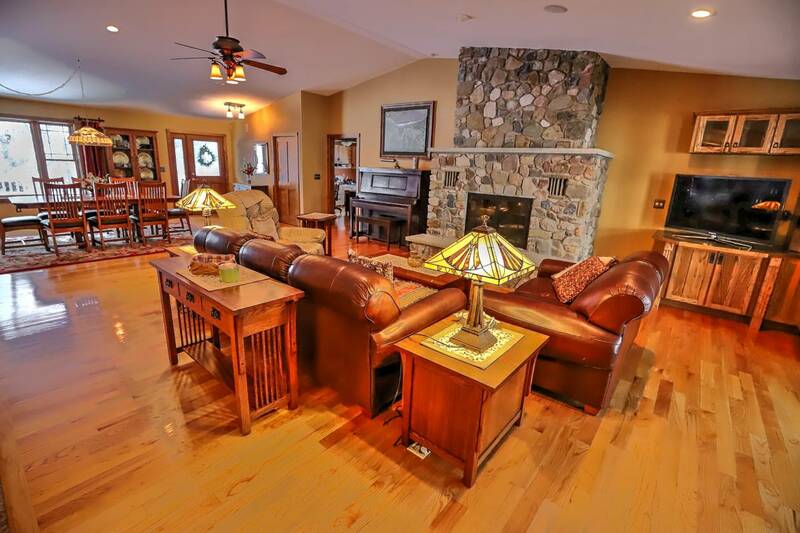 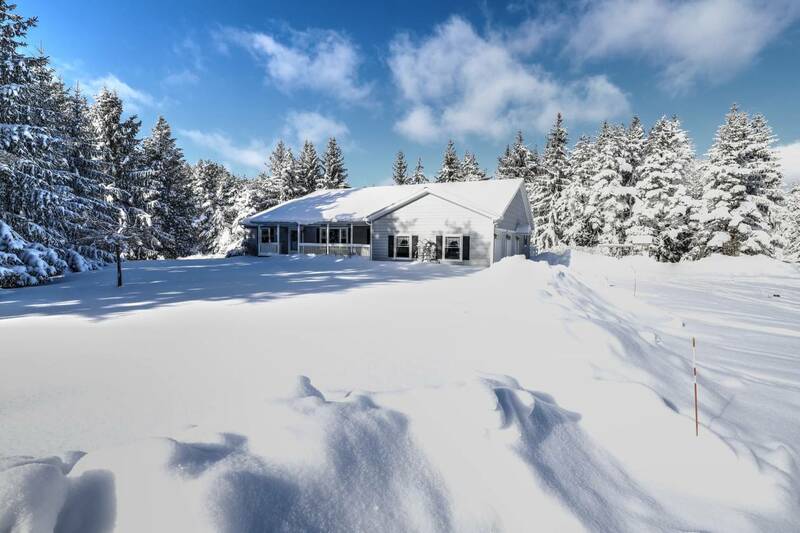 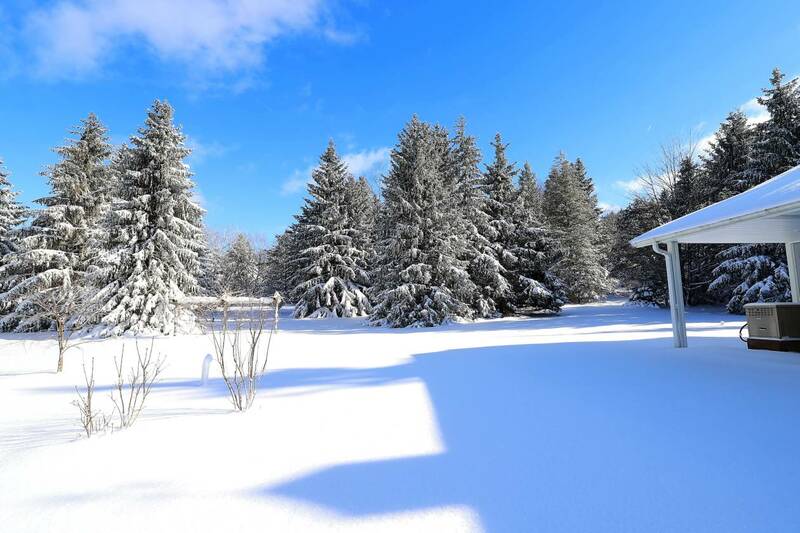 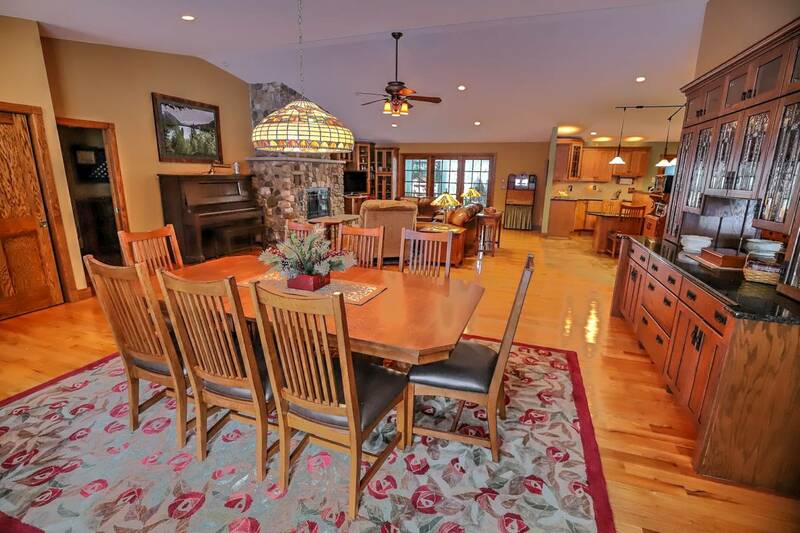 Superior home on 28 acres and minutes from Ellicottville. 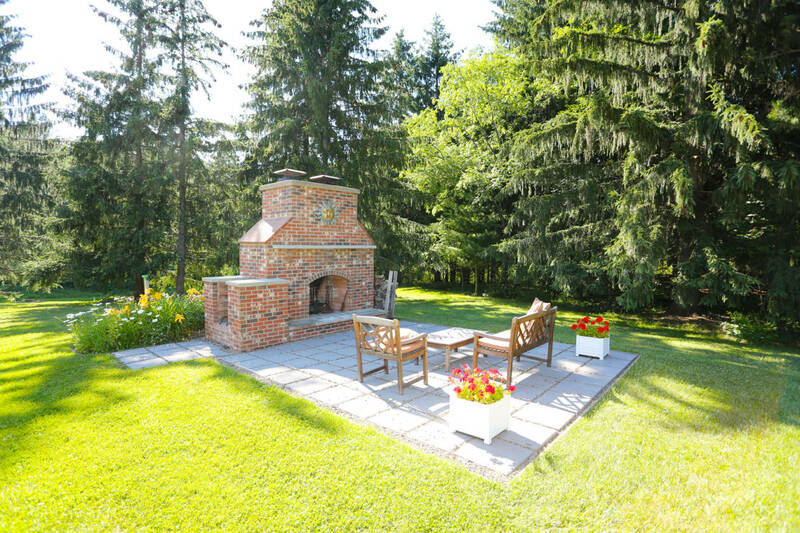 Beautifully landscaped and maintained. 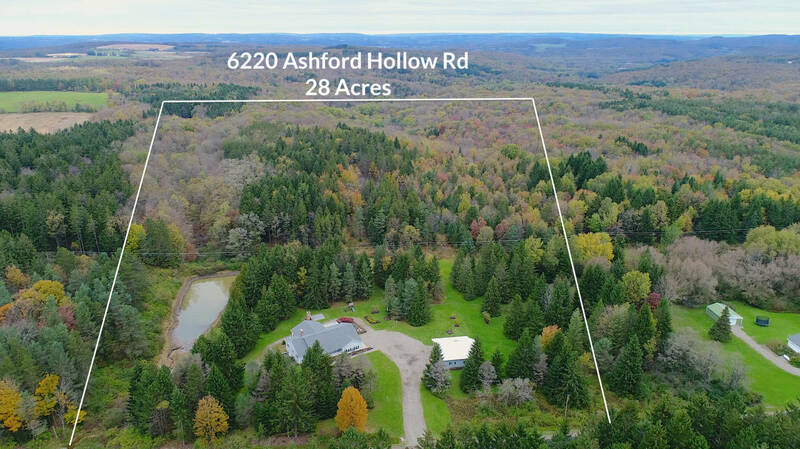 Bordered on two sides by county woodland and surrounded by trees for privacy. 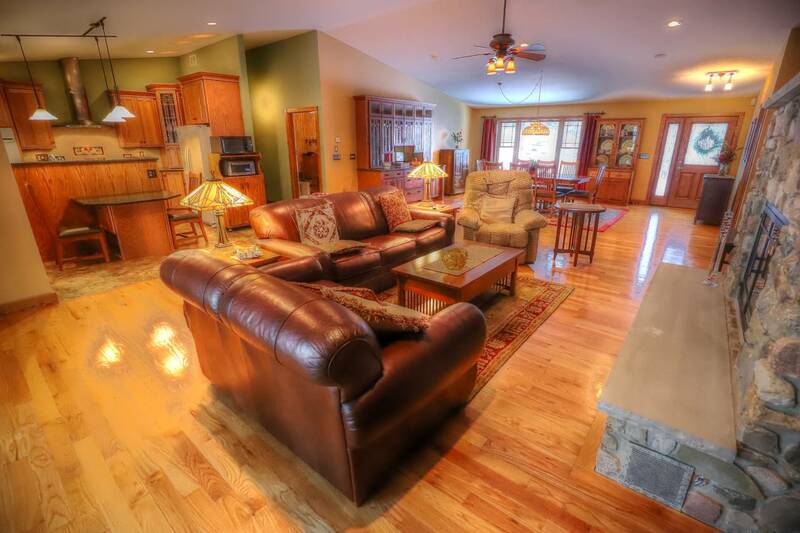 Open floor plan, all radiant heat throughout main floor and basement, custom designed kitchen with quartz counter tops and island, solid oak doors and trim, 9 foot poured basement walls, 5 large block basement windows, extra plumbing available for bath in basement,water softener system, 16'x34' year round sun room off living room with floor to ceiling windows,16'x24' covered deck, all vinyl windows, structured wiring throughout for entertainment pleasure, central vacuum system, large first floor laundry, all appliances stay, hand split fireplace with heat-o- lator can be wood or propane. 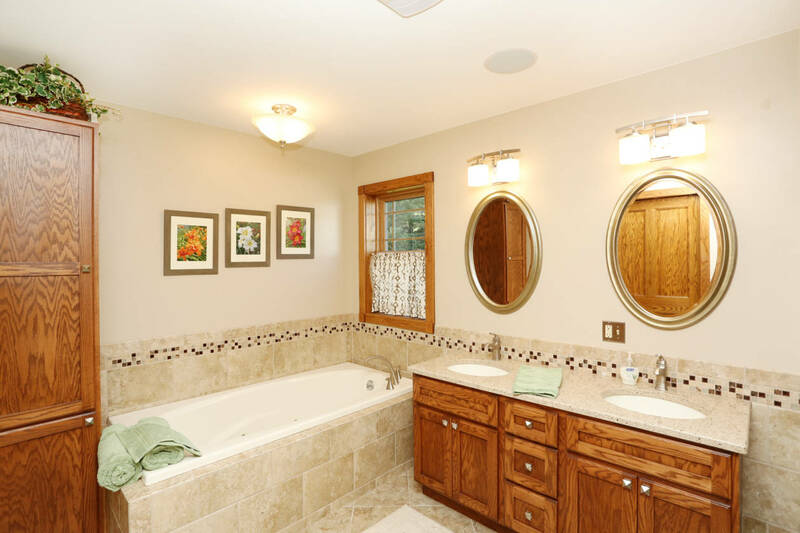 3 septic systems. 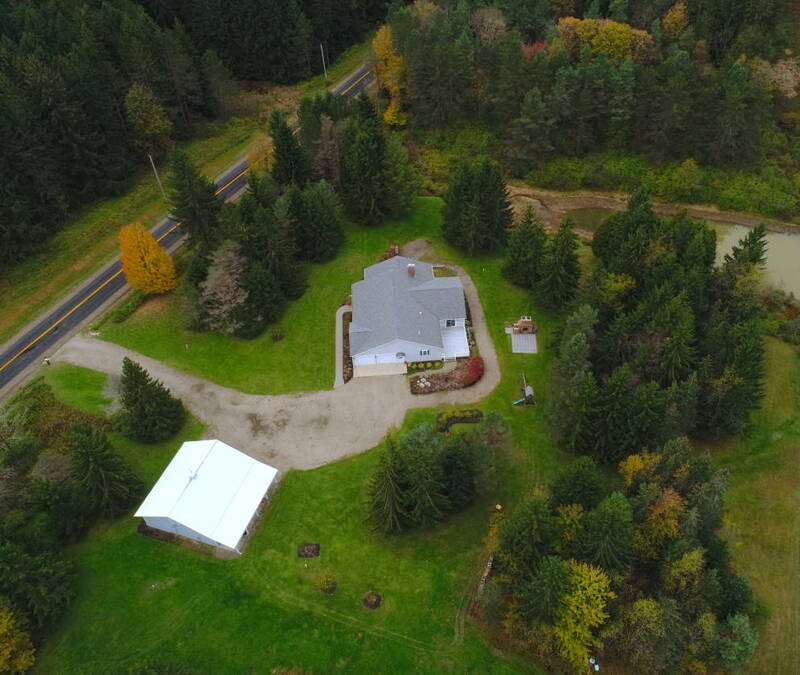 Bordered on two sides by county woodland and surrounded by trees for privacy. 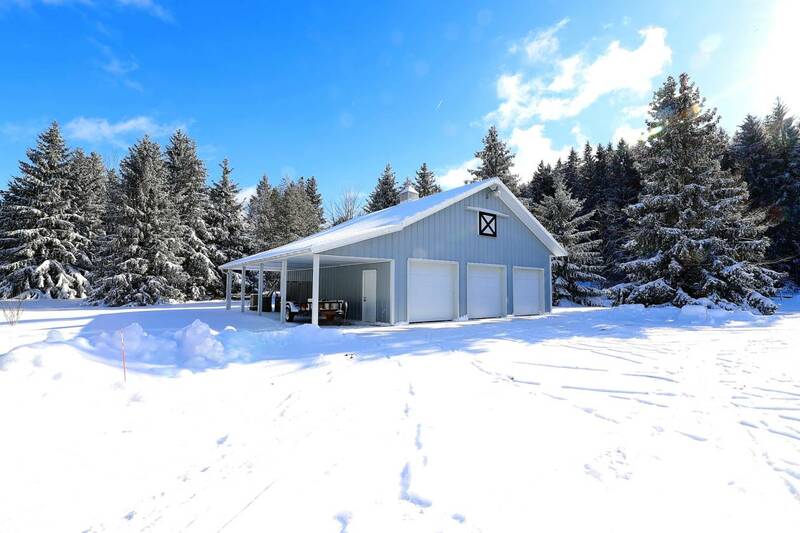 Newer pole barn with its own septic and covered porch can easily be converted to a stable. 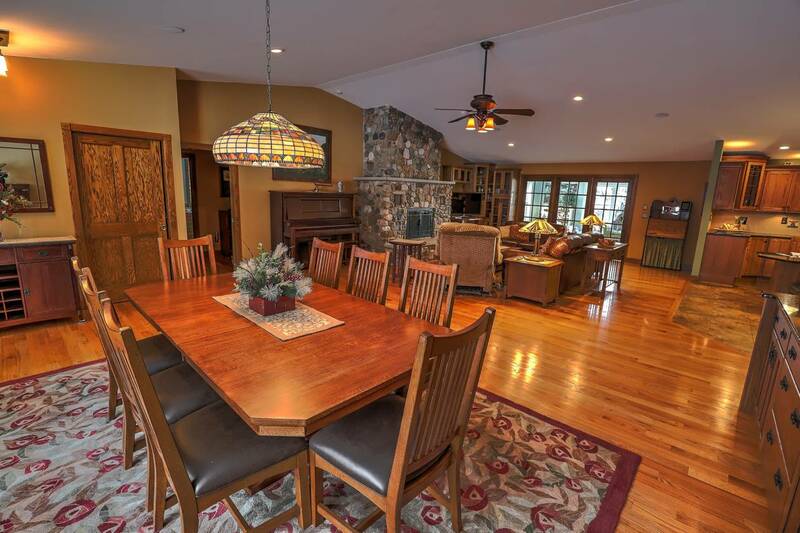 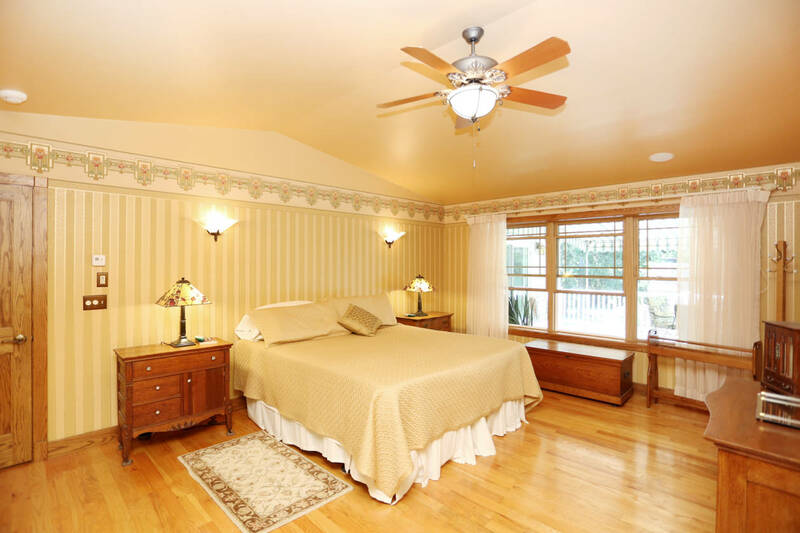 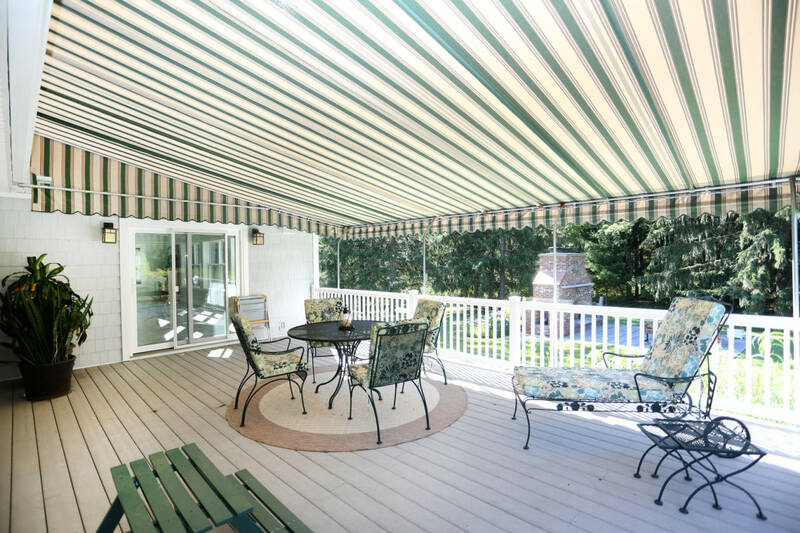 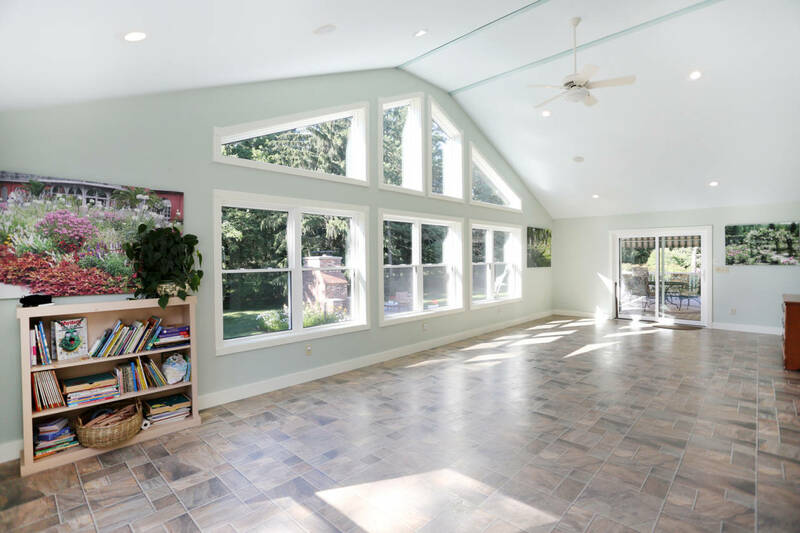 Acreage is a combination of open and wooded with ample space to add a pasture. 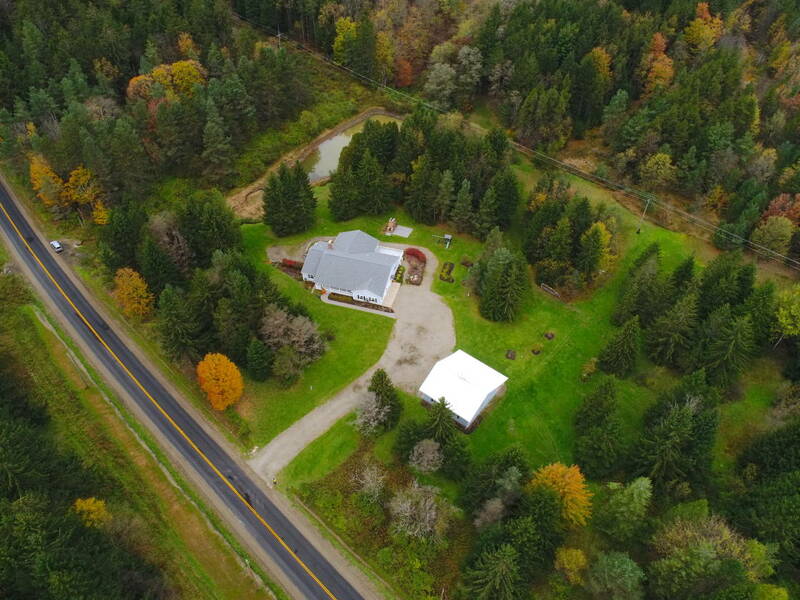 Easy 30 minute ride to Erie County or Cattaraugus fairgrounds for equestrian events and facilities. 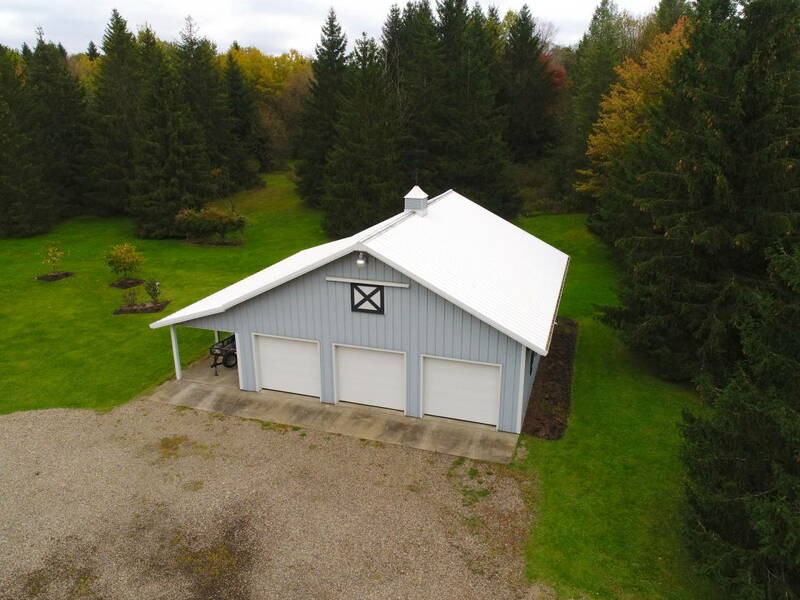 Beautiful newer barn has potential for at least 4 stalls.